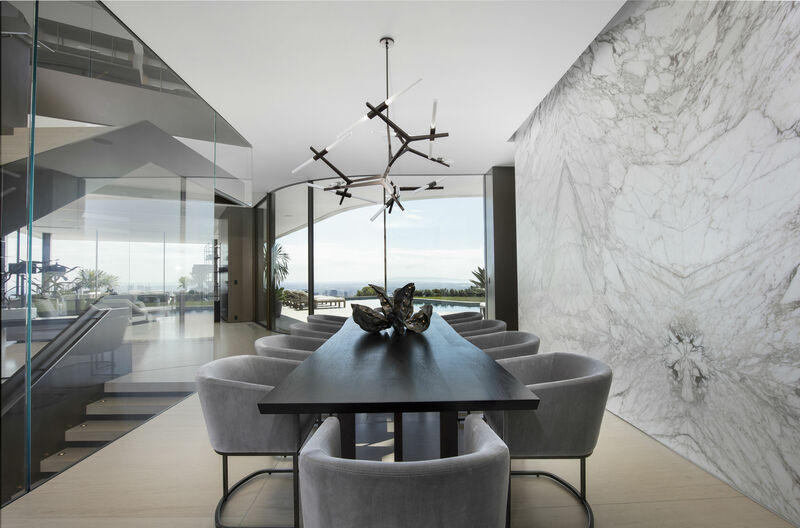 Los Angeles-based SPF:architects have recently announced completion of their latest project, a spectacular propeller-shaped glass house in Bel Air, LA. Named Orum, the house is split over three levels and has been designed to ‘float’ above the hilltop it was built on. 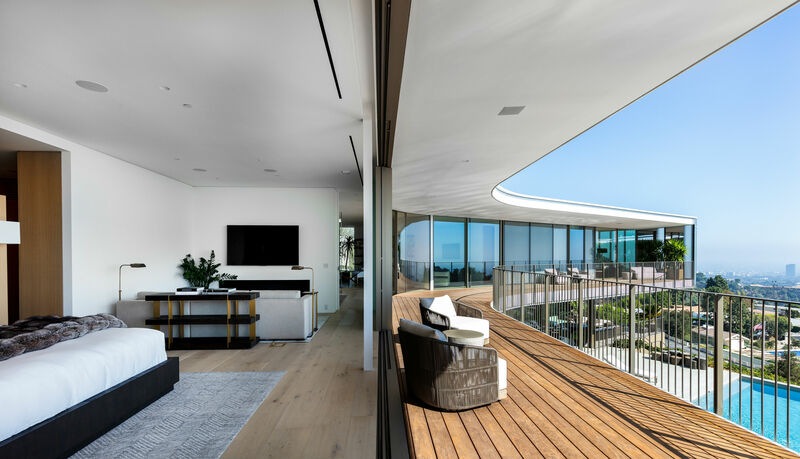 The stimulus behind the property’s design was to create a home that could blend into its surroundings, while still maximising the sweeping views of the LA Basin, from Long Beach to Downtown LA. The finished building is wrapped in glass to show off the views, and takes the form of a three-winged propeller. Two of the three storeys rise above ground level, while Orum’s third floor is burrowed into the hill. A dynamic glass and steel staircase stretches through the core of the structure, joining together the different areas of the space and answering the issue of circulation. The ground floor is made up of communal spaces, while the top floor holds the house’s private spaces. The upper south-west and south-east wings of Orum have been designed as the master and min-master bedrooms, and both feature 270-degree views of the city and the ocean. The third (northern) wing houses two smaller bedrooms, which lies on the hillside and looks out onto the garden, giving the rooms a more intimate, cosy feeling. A kitchen, two fire pits and an LED-lit pool lie in the house’s outdoor area, and the main garage has been designed with a dual purpose: it can also be used as an event space, with two sides opening to give access to the magnificent views. 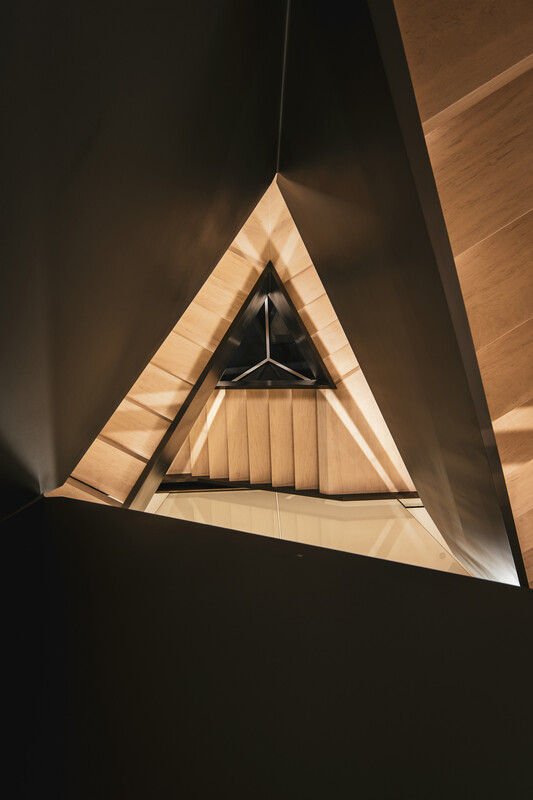 The underground basement level of Orum includes a gym, spa, service kitchen and home theatre, as well as access to the Cube – a guest house attached to the main property, designed for family and staff. In total, it took SPF:architects four years to construct Orum, given the highly custom, intricate nature of the project. 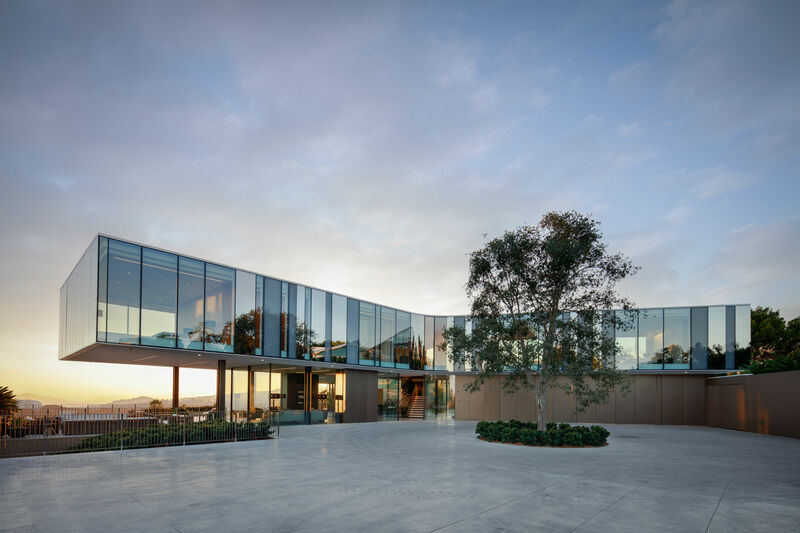 Swiss company Sky-Frame helped the architects develop the glass curtain wall that wraps the house, which was created bespoke for the property. Interestingly, the wall is a highly sophisticated system that uses five different widths, at four different opacities, to create a shimmering, shifting façade.